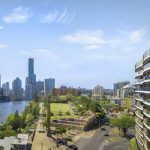 Brisbane's top 5 luxury apartments available to buy now! Over the past few years the River City has come into its own. Getting bigger and better all the time, with more restaurants, bars, entertainment and activities than you could hope to fit into even the most action-packed of weekends! 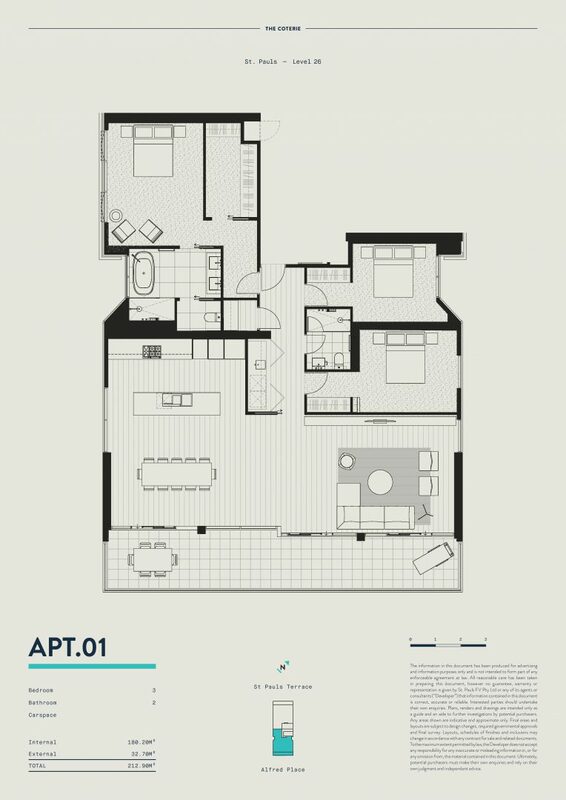 With this growth comes new apartments, houses and land developments to accommodate the growing population of Brisbanites. 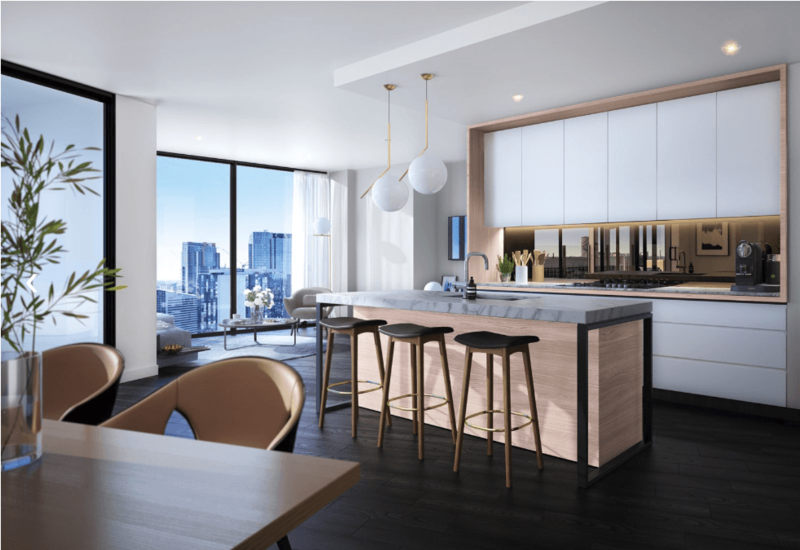 With each new project, developers are raising the stakes to make their Brisbane apartments the most sort-after luxury new builds in the city. 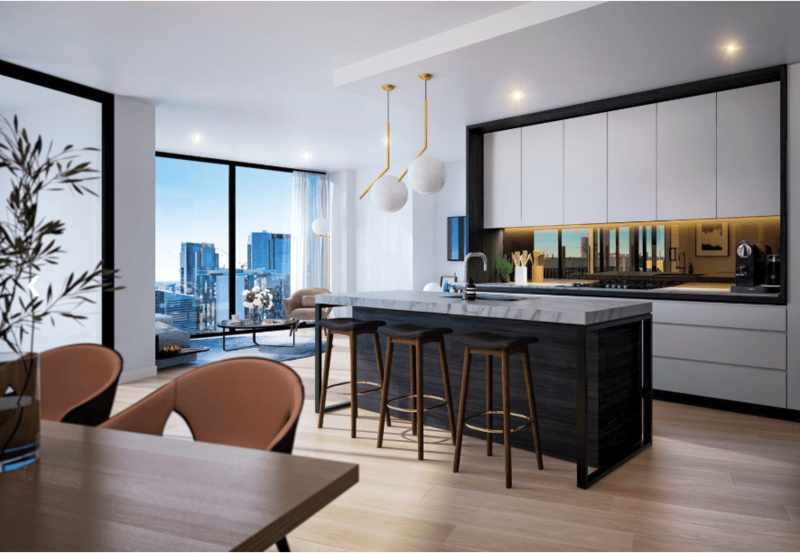 We have searched high and low to bring you a definitive list of the top five luxury Brisbane apartments for sale now, and we think you will agree, these are the crème de la crème when it comes to city living. Penthouse 01 at Banyan Tree Residences on the Kangaroo Point Cliffs stands out on this list because not only is it the largest apartment (625 metres-square in total), but it is the only one that has its own private rooftop with a swimming pool and barbecue area. Inside the tenth-storey apartment, there are four bedrooms, four bathrooms, a powder room, two separate living areas and two large balconies with a huge combined frontage of 25 metres overlooking the Brisbane River. The interior design of this new Brisbane penthouse is quite different — using curved walls to really open up the space. 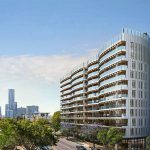 Although many off-the-plan developments claim ‘resort style living’ in their advertising, Banyan Tree Residences is one of the few Brisbane apartment projects that actually does. There is a 24-hour concierge offering a range of services, some of which are included in body corporate fees and others that are available for a fee. On the ground floor of the building there is a function room, gym, restaurant, and the Banyan Tree Spa. All residents get one free treatment at this spa each month for two years, which is a special offering that you won’t find anywhere else in Brisbane. 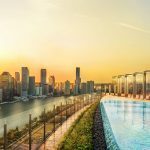 On top of this, all owners will gain access to the Banyan Tree Sanctuary Club providing them with discounts and privileges at Banyan Tree resorts worldwide, as well as one week of free accommodation each year for five years in selected Banyan Tree Resorts around the world. Construction on the project hasn’t started yet and move in dates for this property are likely to be late 2020. 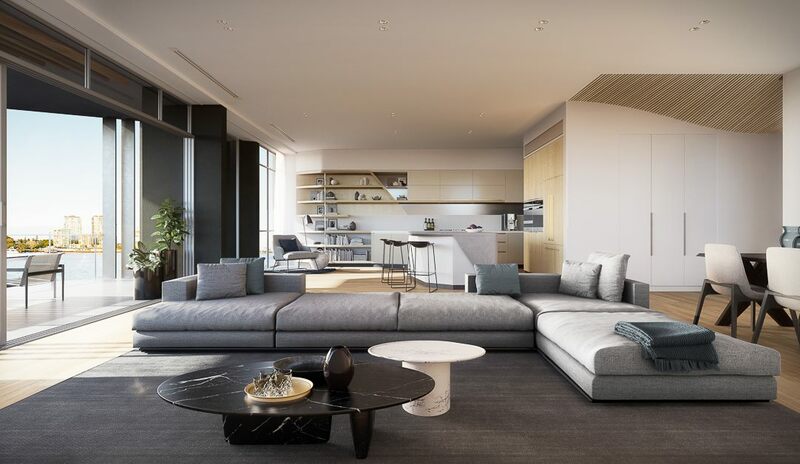 The penthouse at Barca has four bedrooms, two bathrooms, a powder room, a multi-media room, study, an open-plan living area and a 12 metre-long north facing balcony that looks out over the river. 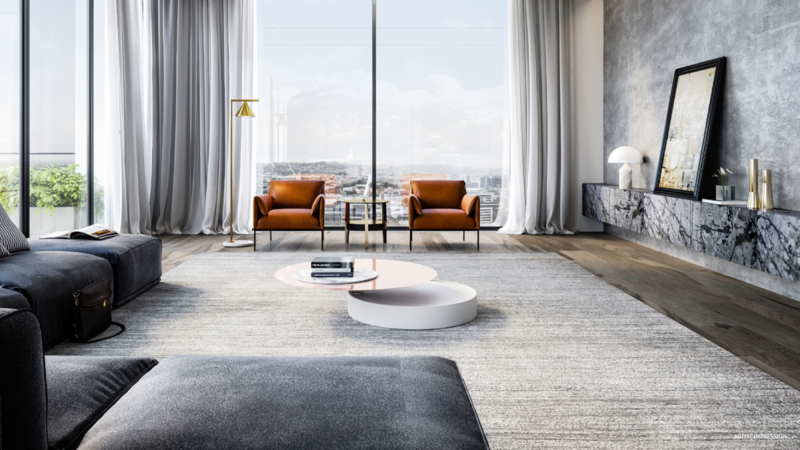 On the second floor of the new Brisbane apartment building, the penthouse has 3.2-metre ceilings, American oak timber floors and has been designed by Arkhefield. Slightly different to other penthouses on the list, this apartment isn’t up high boasting panoramic views, but it is right on the bank of the Brisbane River with access to the footpaths and water sports opportunities that the Bulimba location offers. Read more about Bulimba in our Suburb Profile. 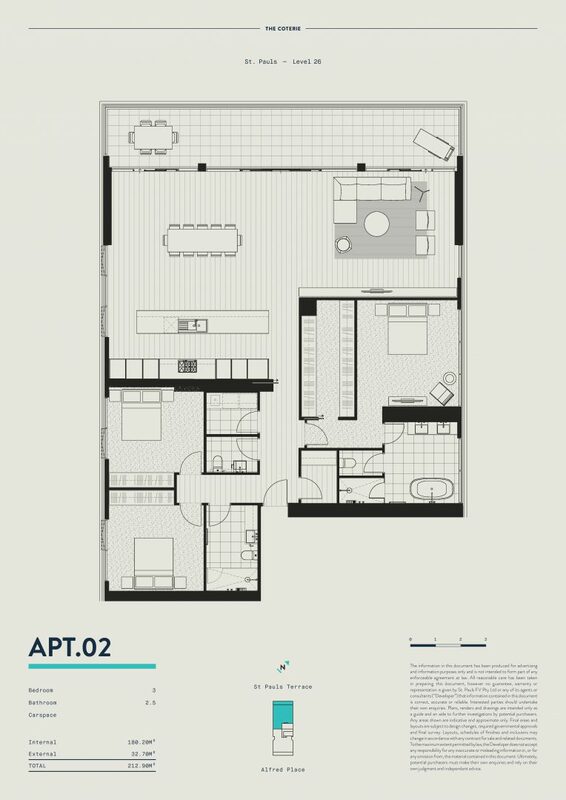 three car spaces and an extra storage unit that is located on the same floor as the apartment. This development is located on Mary Street, right in the heart of the city, so it’s going to feel like a prestige cosmopolitan location. Adding to this feeling is the fact that the owner of this apartment will be living on the top floor of a building above Brisbane’s brand-new 5-star Westin hotel. 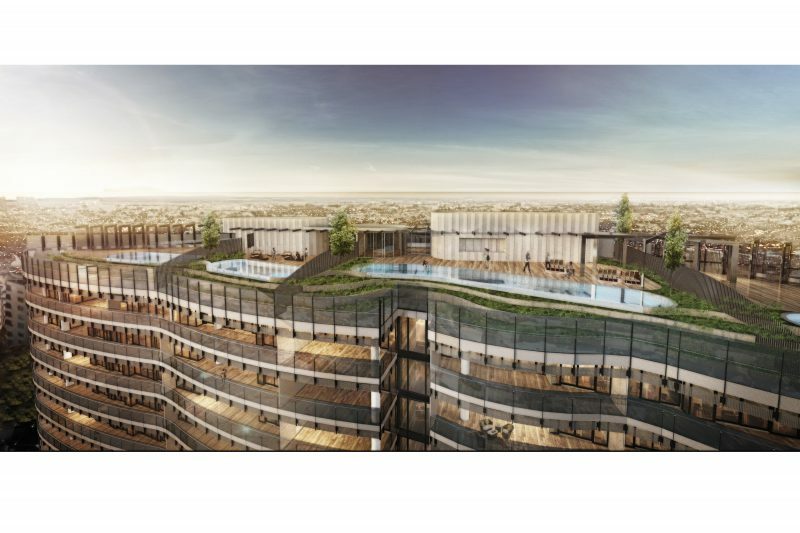 Residents at Mary Lane will have access to all of the hotel facilities such as valet, concierge, and room service on the lower levels of the building; as well as the private facilities for residents that are on the upper floor including the amazing rooftop pool, gym and dining area. 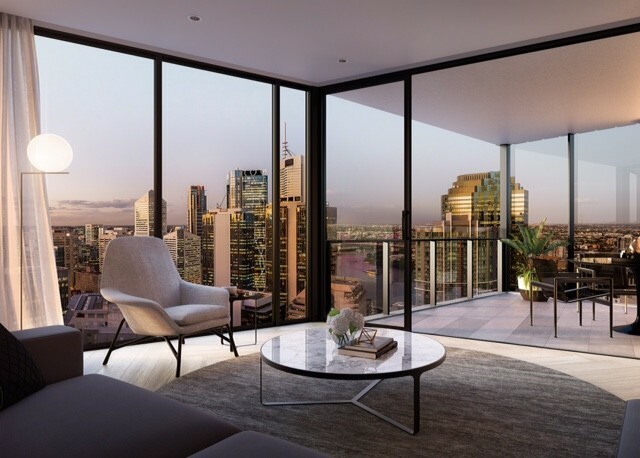 The views from these 36th-floor penthouses will be fantastic — looking over the city, the Eagle Street Pier Towers, the Brisbane River and the iconic Story Bridge. Construction at Mary Lane was completed in December 2018, so the apartments are ready to move into today! Click on the link below to find out more about Mary Lane apartments and book an inspection of the apartments still for sale. 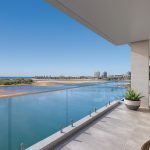 Unlike many of the other luxury apartments on this list, the owner of this penthouse will have the opportunity to customise the new property at no extra cost. 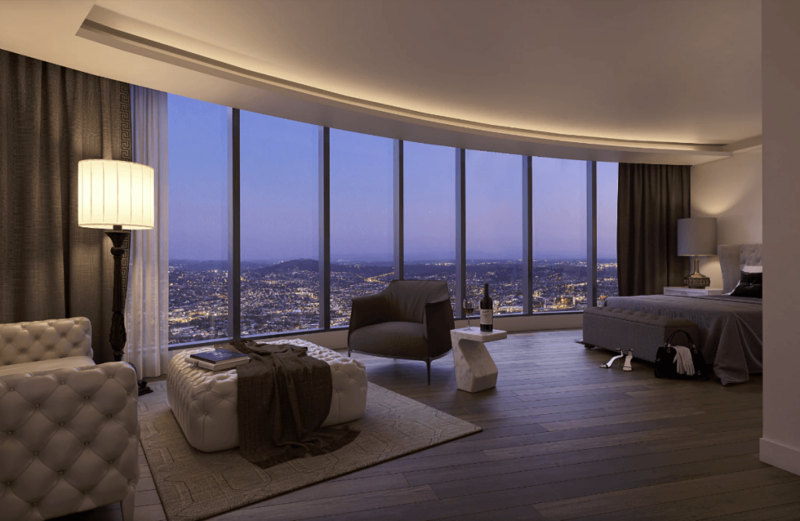 The two 231-metre-square Sky Mansions take up the entire top floor and there is a ‘concept design’ that features views over the Brisbane River, three bedrooms, two bathrooms and guest powder room, two living areas, a study, and three car spaces. Upon entering the Sky Mansions, residents are greeted by a large private lobby with space to store bikes and paddle boards to make the most of the river and network of parks on the doorstep. Although situated on a main arterial road, the double glazed glass exteriors isolate from the noise and the building embraces its location by opening its grand lobby straight onto Coronation Drive. The location is great for access to Brisbane’s CBD — less than ten minutes away by car, 20 minutes by bike and 15 minutes by CityCat. 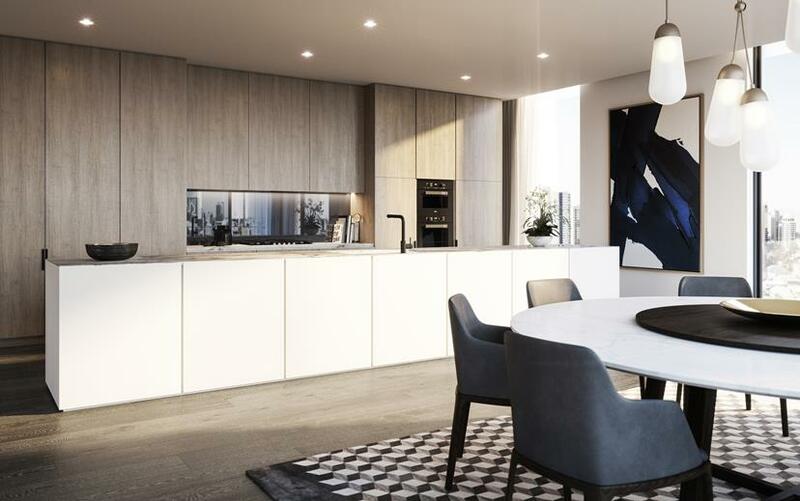 Banc Toowong is certainly up there as one of the most opulent Brisbane apartments, offering residents of the building access to a private wine cellar. 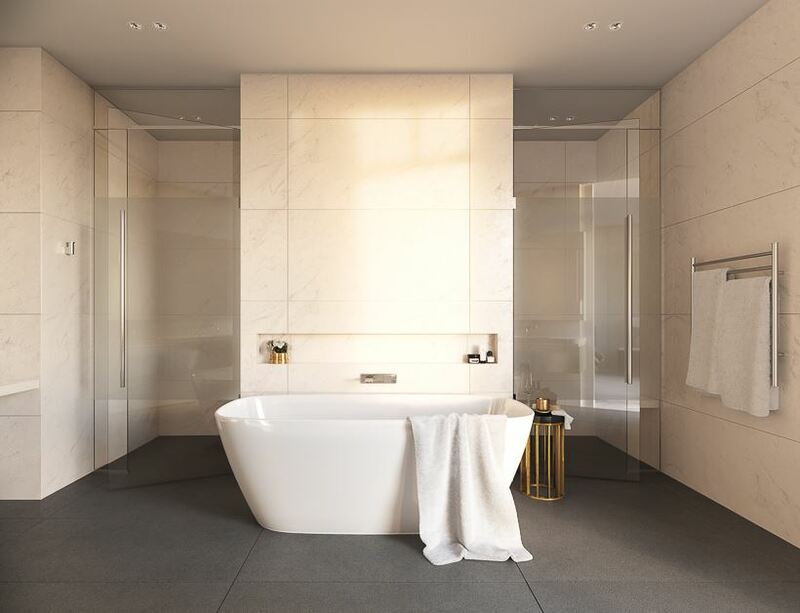 Inside the three bedroom, two bathroom penthouse at The Coterie, you will find open plan living spaces with stone and hardwood finishes and plenty of natural light through the floor-to-ceiling glass doors, leading to the balcony which stretches the whole length of the luxury apartment. 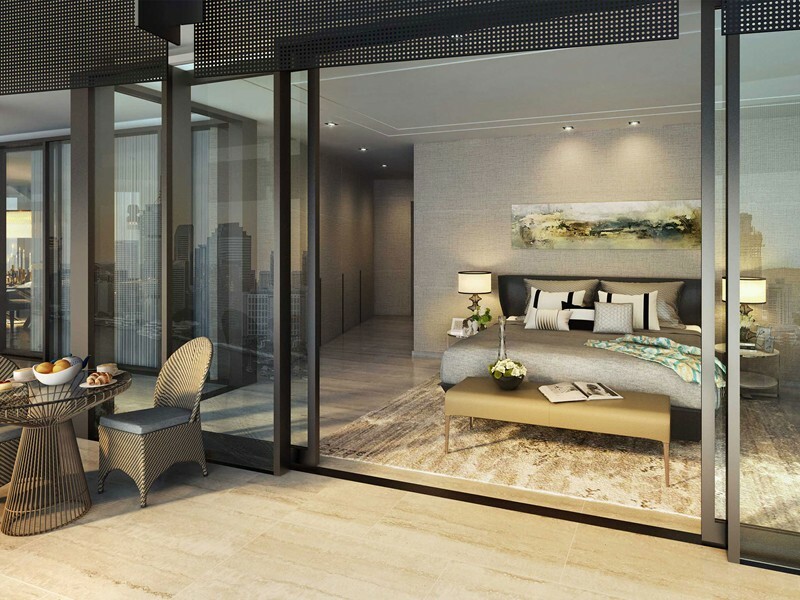 The minimalist penthouses have been designed to allow the high-end materials and finishes to really shine through. The kitchens will have Miele appliances, marble benchtops and a kitchen island to make entertaining easy. 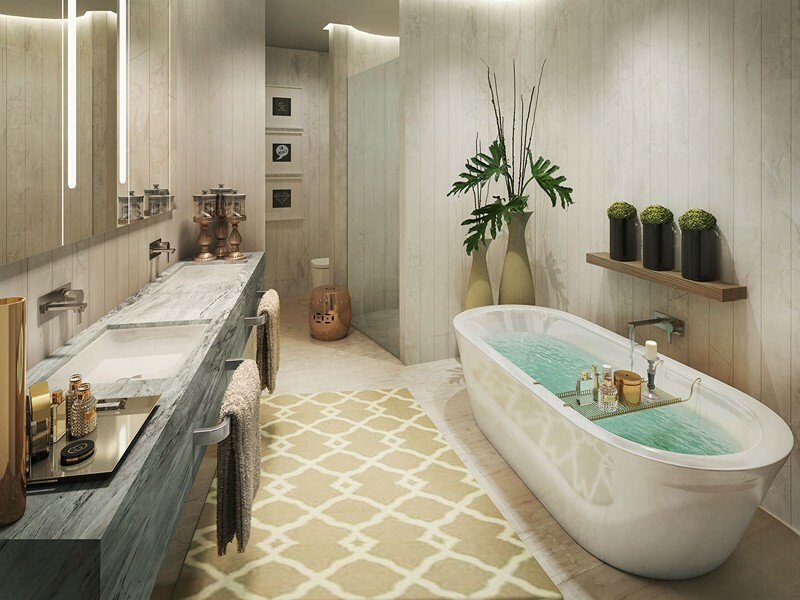 The spa-inspired bathrooms will have marble and timber finishes with black tapware and a free-standing bath in the master ensuite. The Coterie apartments in Fortitude Valley offers views over the CBD from the communal rooftop retreat with sundecks, landscaped gardens, outdoor dining areas and a pool. Construction is now well underway at The Coterie apartments, the display suit will soon be closing and be replaced by display apartments on the 7th Floor of the building.